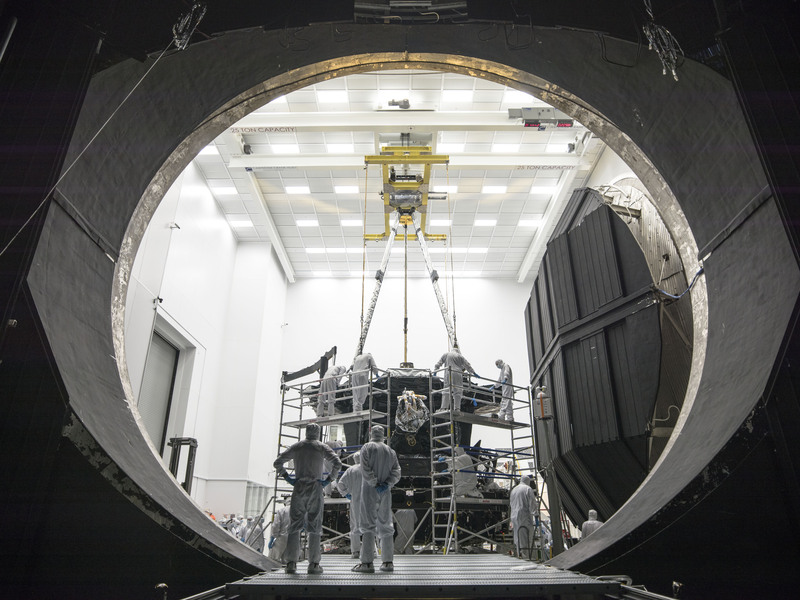 Taken from inside NASA's Johnson Space Center​'s Chamber A, the James Webb Space Telescope is shown being lifted onto its test stand. It will eventually be slid into the chamber for cryogenic testing. Read more about Chamber A and the tests on JWST here.